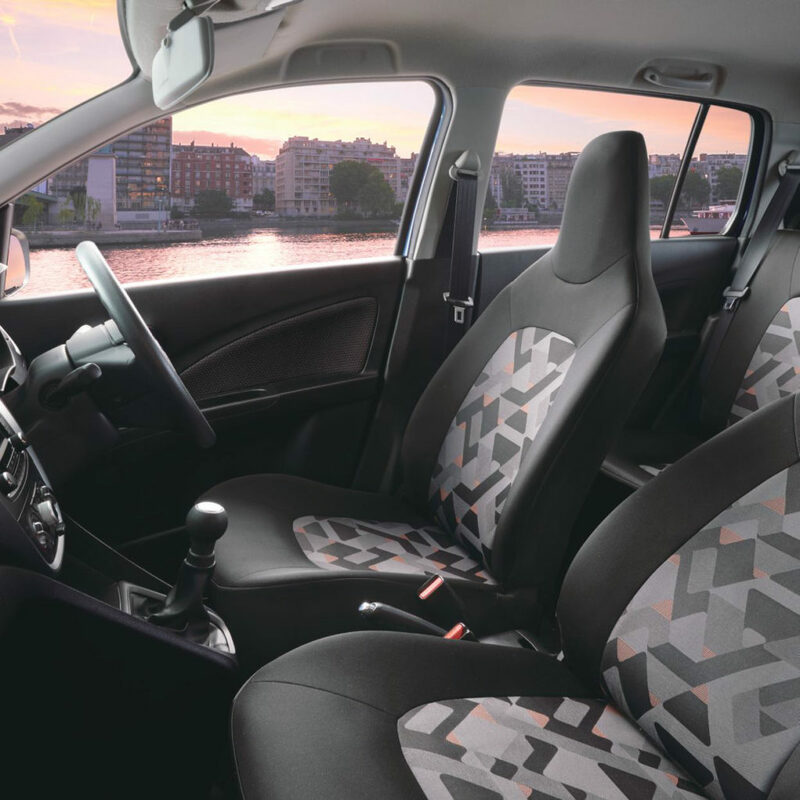 Whatever your destination, the Celerio offers class leading space where you will want to spend time. 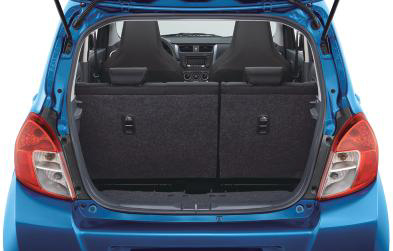 The 235-liter luggage compartment expands to an incredible 1034-liters with the rear seats folded down to ensure you don’t have to leave any luggage behind when you decide to hit the road. 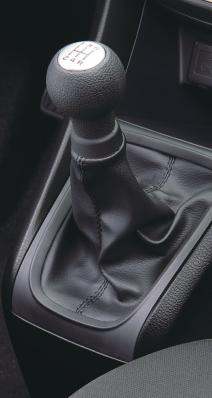 Whether you’re going on a short trip or a long journey, your drive will be one to remember once you experience the thrill of adventure behind the wheel of the Celerio. 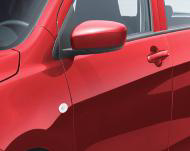 Equipped to change the way you drive, this XL small car is extra roomy, comfortable and spacious and will take you the extra mile with class leading XL fuel efficiency of 4.6 litres per 100 kilometres. 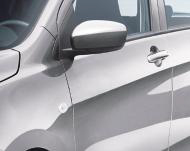 Your driving pleasure is ensured with the Celerio’s elevated driving position that gives you an expanded view of the road, whilst being surrounded by a high quality instrument panel and comfort in every corner of the cabin. 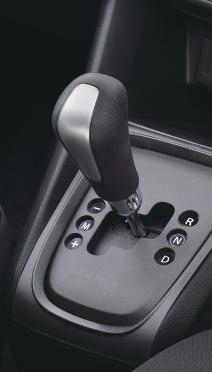 With the availability of an automatic gear shift or 5 speed manual transmission, you will be spoilt for choice when making your decision to buy the Celerio. Navigate tight city corners effortlessly with a minimum turning radius of only 4.7 meters on 14-inch, ground-hugging alloy wheels. Driven by the new K10B engine that offers dynamism in a lightweight design, you do not only get to enjoy the quick, vigorous drive – you will also enjoy better fuel consumption and drive into any urban challenge with confidence. There are no dull moments when it comes to the Celerio, which is available is seven bold, attention-grabbing shades – including Torque Blue Pearl Metallic, Silky Silver Metallic, Tango Orange Pearl Metallic and Blazing Red Pearl Metallic. 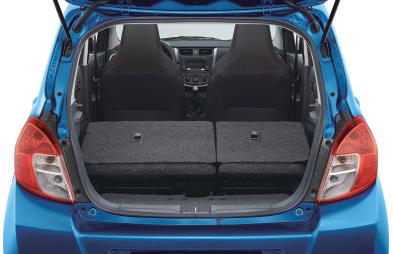 Make it your own with XL accessories that adds style to your drive which will up your Celerio’s street cred and complement your XL life. 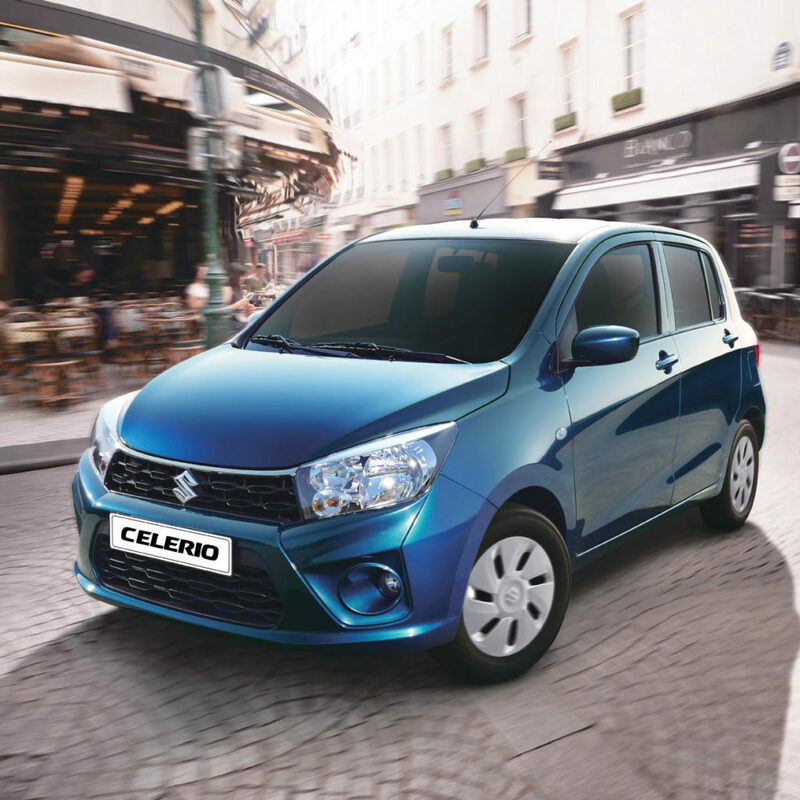 To round of this alluring hatch, the Celerio also benefits from a 5 year/200,000km factory warranty and a 2 year/30,000km service plan – which means your maintenance costs are minimised so you can go about living extra-large!